Women are more at risk from the harmful effects of alcohol than men. This is because of the difference in the water content of their body. Water constitutes between 55% and 65% of a man’s body weight and between 45% and 55% of a woman’s. As alcohol is distributed through the body fluids, in men the alcohol is more ‘diluted’ than it is in women. Drinking alcohol may reduce fertility and the ability to conceive as well as directly affecting the developing baby in the womb. If you drink alcohol when you are pregnant, you are in reality giving your baby an alcoholic drink too. This is because when you drink, the alcohol passes through your body, passes to the placenta and is fed to your baby. If you are planning a pregnancy or are pregnant, avoid alcohol to reduce the risk to your baby. But if you do drink, try to limit yourself to the occasional drink, say 1 to 2 units a week. The less alcohol you drink, the better your chances are of having a successful pregnancy and a healthy baby. Alcohol is passed to your baby in small quantities through your breast milk, so if you have a drink – so does your baby! This may affect the baby’s feeding, bowels or sleeping; so avoid alcohol whilst you are breastfeeding. Heavy drinking can cause impotence and fertility problems for both men and women. Cutting down or stopping alcohol while trying to get pregnant protects your baby. 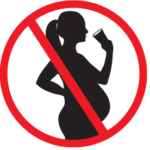 Continuing to drink, even in small amounts, when you are pregnant puts your baby at risk. More than 3 drinks a day increases the risk of miscarriage, more than 12 drinks a week increases the risk of premature birth and binge drinking is particularly risky. Drinking alcohol in the first trimester can cause foetal alcohol syndrome, resulting in serious problems for the development of your baby and all their organs. Drinking in the second and third trimesters can cause Alcohol Related Neuro-Developmental Disorder, particularly as the biggest spurt of brain growth happens in the final trimester. The effects of drinking alcohol during pregnancy may not be seen until your child is a few years old. Children exposed to alcohol during pregnancy often show poor attention and hyperactivity.